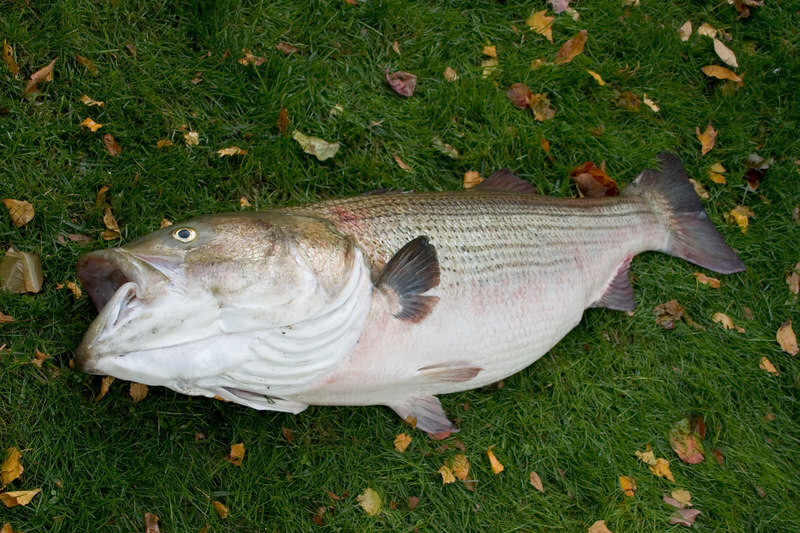 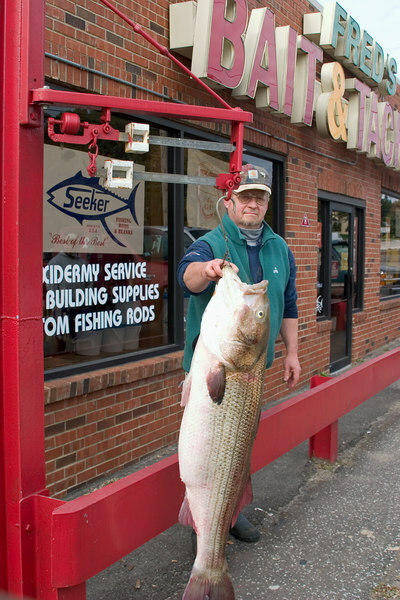 54.75lbs and 52” long Stripped Bass. 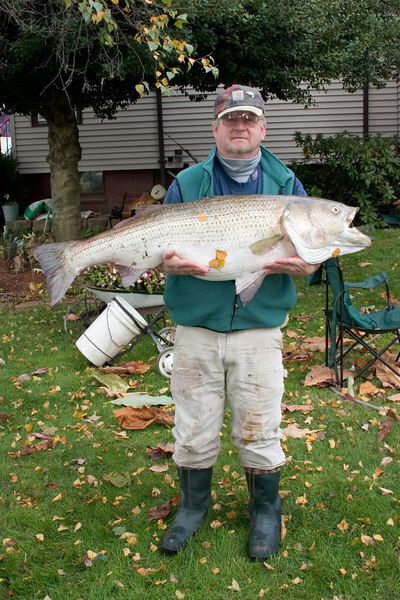 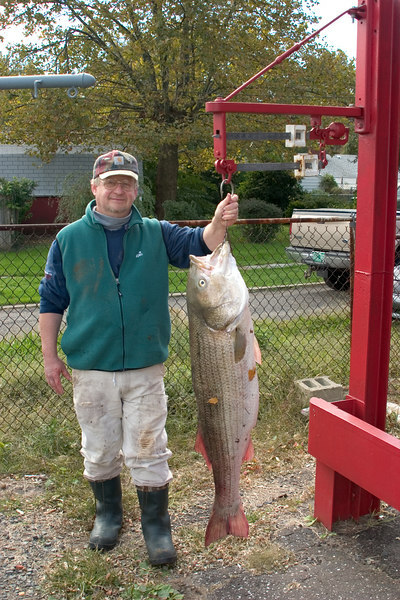 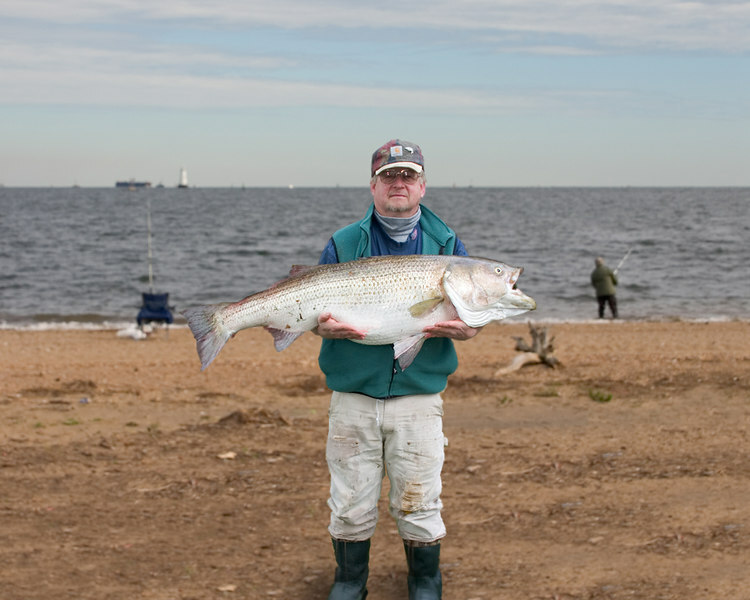 Caught by Glenn Sieber of South Amboy. 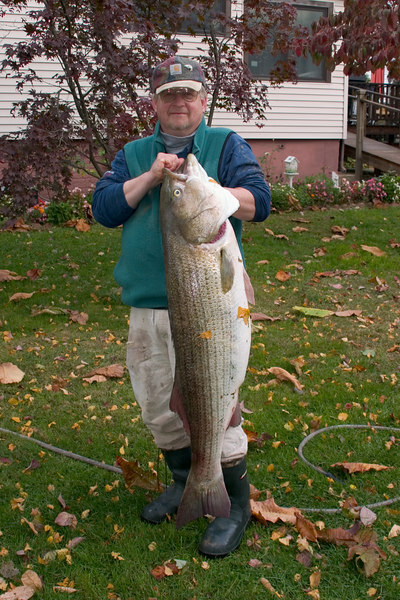 He was angling off the beach early morning on October 27, 2006 when he hooked the 54 ponder. 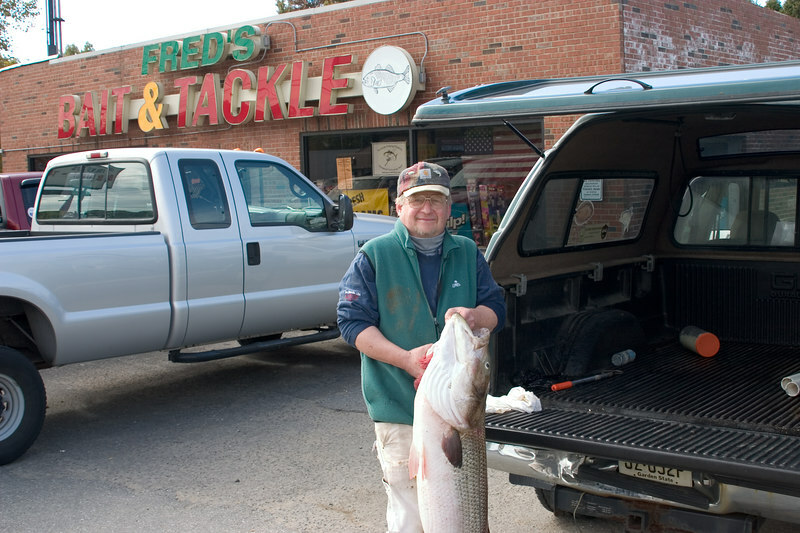 Using only 18lb fishing line, it took nearly an hour for the big fish to tire enough to allow Glenn to real her in.